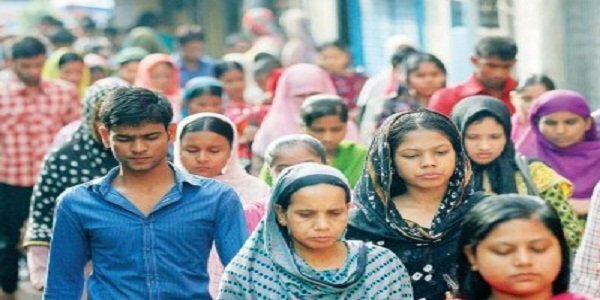 Dhaka – The owners of more than 50 garment factories reopened their units Monday five days after they suspended production in those plants fearing potential labour unrest. Leaders of Bangladesh Garment Manufacturers and Exporters association said that the workers returned to the factories after they were reopened. BGMEA president Siddiqur Rahman told reporters that the factories were opened as per the decision of a committee formed to review the situation. The association on December 20 announced closure of 55 factories to prevent the agitation by the workers who demanded rise in minimum wages to Tk 16,000 per month from exiting 5,300. Television footage show that the workers returned to their work as soon as the factories opened on Monday. More than 350 factories are situated in the area and their contribution in fiscal year 2015-16 was over 20 percent of the $28 billion garment export, according to industry insiders.